Welcome back to the Lights Project! 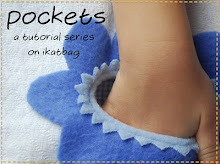 It's Day #6 and we have Karin back with more amazing Things-To-Make. Here she is! Yesterday I posted the project I'd planned to make for the Lights series. Today I'm posting some of the other projects we made or thought of because we're having SUCH fun sticking lights into things. I'd JUST finished installing the lights in the dollhouse when I glanced over to see how Heidi, my oldest, was coming along on her school assignment (make a car to fit with their unit on wheels and axles). Weíd built the body earlier out of recycling bin (and craft closet) treasures. Each headlight is made of four bulbs, clumped together. That left two bulbs, one for each tail light. To make the tail lights red (or actually, pink!) and to add some sheen to the headlights when they aren't on, we glued fabric under the first layer of cardboard. Once the lights were installed and on, they lit up the inside front of the car a little too much, so we glued a partition in place. The battery pack is glued to the underside of the trunk area, so we can reach the switch through a little slot. Polly Pocket usually zips around in this, but Mama Cat has been using it too. I think we need to make a mini-van soon. Thinking about how else the lights could be used, possibly for something for my nephews, I thought a lighted runway on a cardboard airport would be neat. Add a cool control tower and some other airporty stuff and youíd have a great toy. 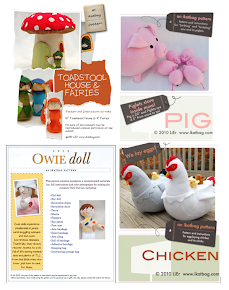 I did a search and found an inspiring example on Mary's Weisse Guys blog. Even without the lights I added in the photo below, isn't her airport amazing?!? That terminal. That control tower. Oh my! Click on the link to see all the details throughout, even the pat-down guy. I hadn't said anything about the airport so I was surprised when Sophie, my middlest, asked if we could make a runway. Except I should have known my budding style maven was talking about a fashion runway. I don't imagine there are all that many people itching to make a fashion show runway so I'll skip the how to steps, but I hope this post gets you thinking about what you are itching to make. Don't you feel like digging into your cardboard stash this very instant and making something awesome? Whassat? You don't have a cardboard stash? Tsk, tsk. Good thing Christmas is a time for shipping boxes to get delivered right to your doorstep, eh? Lucky you. Go empty out those boxes (Merchandise? What merchandise?) and cut up some cardboard now! Tomorrow: Circuits-from-scratch 101, and two projects using single bulbs! Fantastic! The kids must love that car, and my son would adore a lit-up airplane runway! Oh, my.... that little car is just TOO COOL!!! You and your friends are AMAZING... do you live on another planet? Because I have never met anyone with that much fantasy and craftiness. 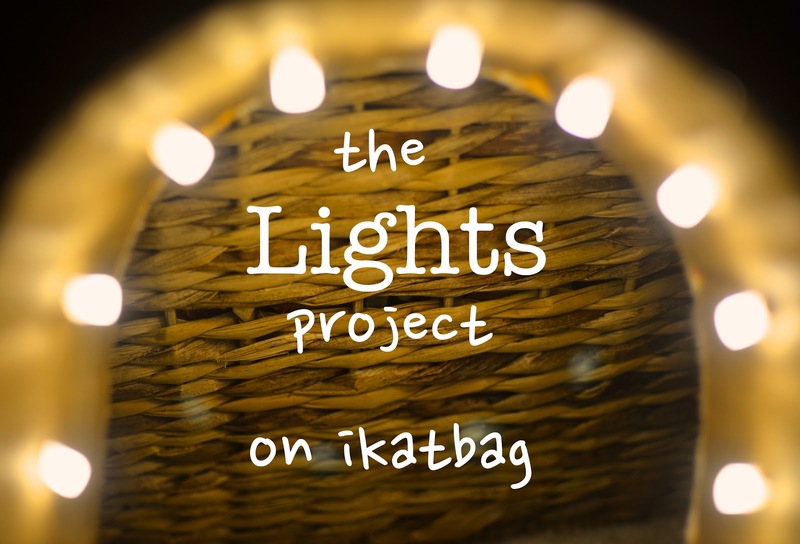 I've been reading your lights project and am so amazed at your creativity. Is there anything you can't make from cardboard? Unbelievable cuteness! !